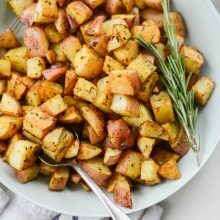 I wrote a cookbook!! I would shout if from the rooftop if I had access to a ladder and wasn’t so afraid of falling and injuring my whisking arm, so I guess instead I’m going to have to go all-caps on you: I WROTE A COOKBOOK!! But hey… look at this cover!!!!!!!!!!!!!!!!!!!!!!!!!! So my story begins last year, it was around the end of January and the winter was the worst Michigan has seen in quite some time. 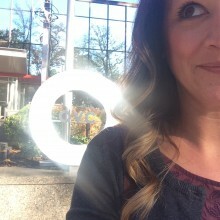 A few months prior, I had resigned from my job at the Emergency Center and was just starting to embark on this whole blog-from-home-mom frontier. Life was good, I was home to get my daughters off the bus, I made dinner just about every night and most importantly I was home on weekends and holidays! The ER closes for no one and definitely no holiday. So it was mid-afternoon when I opened my email and saw I had a message from a Michael Sterling, an agent in New York City. As I read on I quickly realized this wasn’t the typical “Hey, Love your blog! I think you would be a great fit for writing a 300 recipe book on pies! !” (an email that I did actually get once). This was a genuine and heartfelt email about being a fan of my blog, how he reads my blog on his lunch break (on his lunch break in NEW YORK CITY!) and how he enjoys my writing “voice” (I never even realized I had one! ha!) and that he would love to chat about the possibility of me writing a cookbook. No. Freaking. Way. It was a head-to-toe-chills moment and in my gut I knew this was legit. After a lengthy phone call with Michael I knew I needed time to think and let my brain marinate in all the cookbook possibilities. Did you catch that food reference I slid in there? An outsider might think this is a no-brainer with an easy answer, but for me it wasn’t. I had thoughts zipping back and forth in my mind; what if I fail? 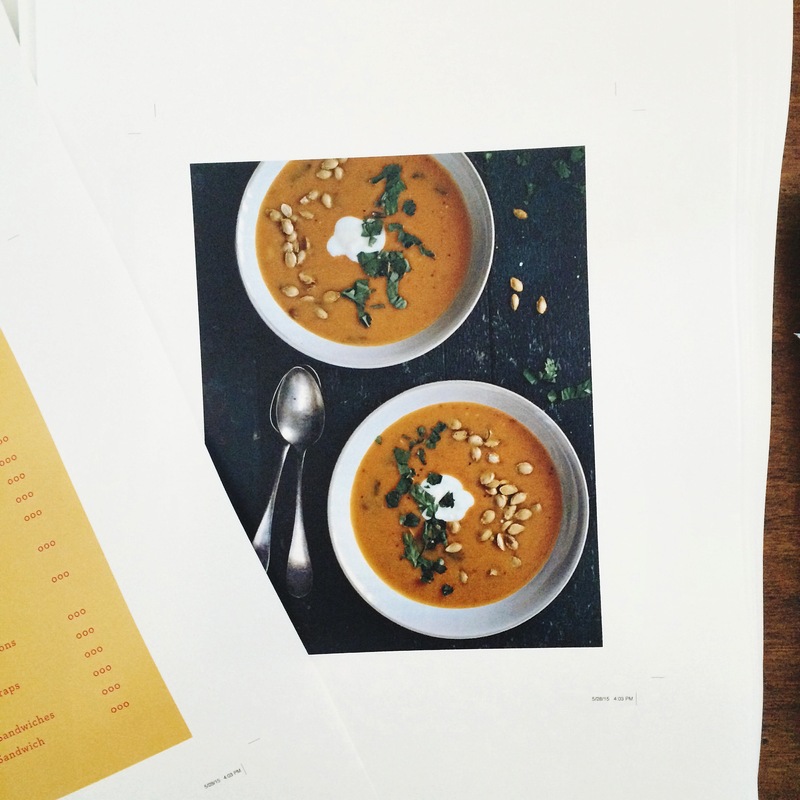 I’m a blogger, I didn’t go to college for this job, so how could I possibly write a cookbook? Let’s be real, sometimes I’m not sure if a sentence needs a comma or semi-colon!! I’m me and me isn’t (wasn’t? <—- see what I mean?) a “writer”. Because the truth is, never in my life have I experienced so much self-doubt then when I was deciding to write this cookbook. Not when I became a mother at 20 years old, nor when I worked in a level 1 trauma center; multitasking between doctors written orders, verbal orders being shouted at me from a critical patient’s bedside while incoming phone calls were streaming in. Those things I could do. Writing a book? I wasn’t so sure. So after a week of mulling it over, I called Michael and said “I’m in, let’s do it!” and I don’t mean let’s write the book, ha-no. First it’s pulling together a book proposal, which sounds easy enough… but isn’t. It’s something I doubt I could’ve or would’ve done without the help and guidance of my agent. A book proposal is virtually a 40-50 page resume that includes blog stats, an “about me”, a sample chapter, a few recipes, media coverage etc. and why your book would be unique. This thing took a good 5 to 6 months to pull together. By June it was complete and Michael and I felt pretty darn confident in what we were sending out to publishing houses. It’s funny how something that took months to work on, only took us less than 1 week before we heard back from someone. I remember the day perfectly; I was shuttling two kids to softball, meeting Pat at one field to drop off our youngest and then hightailing it to another field for our oldest. When I was sitting in my car waiting for Pat, my phone notified me of an email. It was Michael saying we heard back from a publishing house… (me: holy heck!). Not only a publishing house, but one of the top publishing houses in the US! 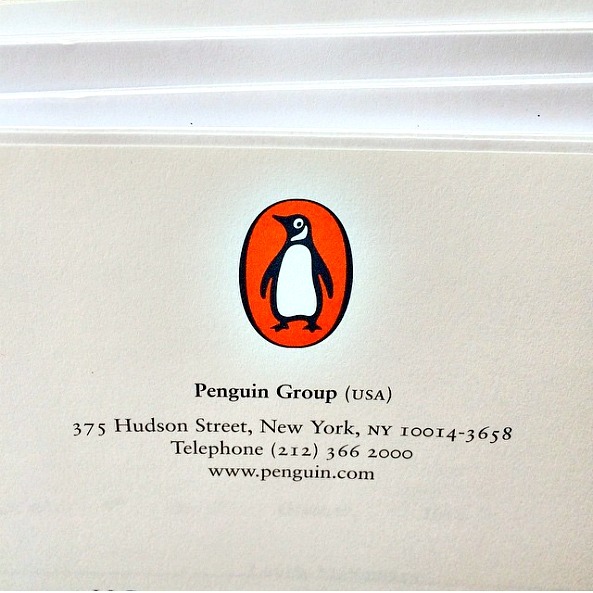 Penguin Random House! Cue the head-to-toe-chills again. In his email, he said that the editor wanted to do a casual chat on the phone to get to know me better and that he would be sending me the info on the editor shortly. Okay so now let’s flashback to two weeks prior, before my proposal was even sent out to anyone. I was at Target with Pat and our girls and being that I didn’t own an iPad yet, I always combed the book section for new books to read. I of course always stop by the cookbook section to see what’s new there as well. I picked up Angela Liddon’s Oh She Glows cookbook. The cover caught my eye and I quickly thumbed through it. I turned to Pat and said “SEE! This is the kind of book I want to publish!” From the size to the cover being thick cardstock (I’m probably botching the type of cover it is but you know what I mean), something about it drew me in and I fell in love with it. Flash-forward to the day I heard the most amazing news EVER! So there I sat amongst many parents watching my daughter’s softball game with this bubble of excitement in my throat, when my email pinged again from Michael. I opened it and read the info on the editor, Lucia Watson and the list of books she’s recently worked on. Wouldn’t you know, she’s the editor behind the Oh She Glows Cookbook?! I am DEAD serious. It still gives me chills to this day. I couldn’t believe what my eyeballs were reading. Call it fate or call it a crazy coincidence but it only solidified that I was meant to write this cookbook. Period. So the next day Michael, Lucia and I had a conference call. I don’t think I’ve ever been so nervous in my entire life. Of course I want her to like me and publish my book, but I was so afraid I’d blank out and say something totally random and utterly blow my chances. But as we spoke about normal things… Lucia went to school at U of M and has two daughters, things clicked and I felt like I’ve known her forever and when I hung up the phone my first thought was ‘holy-moly I want Lucia to be my editor’ and followed that up with ‘I nailed it’. Later that day I had a book deal. So yeah, after that I started dreaming up recipes, jotting them down into several spiral bound notebooks, and even began a little recipe testing. Summer was over before I knew it and I was facing the girls going back to school which was my unofficial start date to getting down to business. I had a rocky start, trying to find motivation was so hard for me. I know, you’re wanting to clobber me (‘Hello?! Once in a lifetime opportunity LAURIE!’)… but I couldn’t get myself to start working on it. Looking back I know I was terrified. Not only was I responsible for writing, testing and perfecting 120 recipes, headnotes, chapter intros but I was in charge of taking the photos too. That’s a lot of pressure. Especially when I bought a brand new fancy camera and was still trying to figure out the mechanics behind it. I was stuck and afraid to start. I only had under 5 months left to test, write and photograph this book. But after several much needed pep talks and valued advice given from Michael (seriously he is so much more than an agent, he’s now a wonderful friend) I faced my fears and busted a**. Looking back, I can’t believe what I’ve accomplished over the few months I had to work with. Typically I spent a day testing (and in some instances re-testing) 6 recipes, only to start over again the next day. It was a whirlwind managing all of that on top of getting through the holidays, kids sports and blogging here on SS- which explains my temporary absence those months. 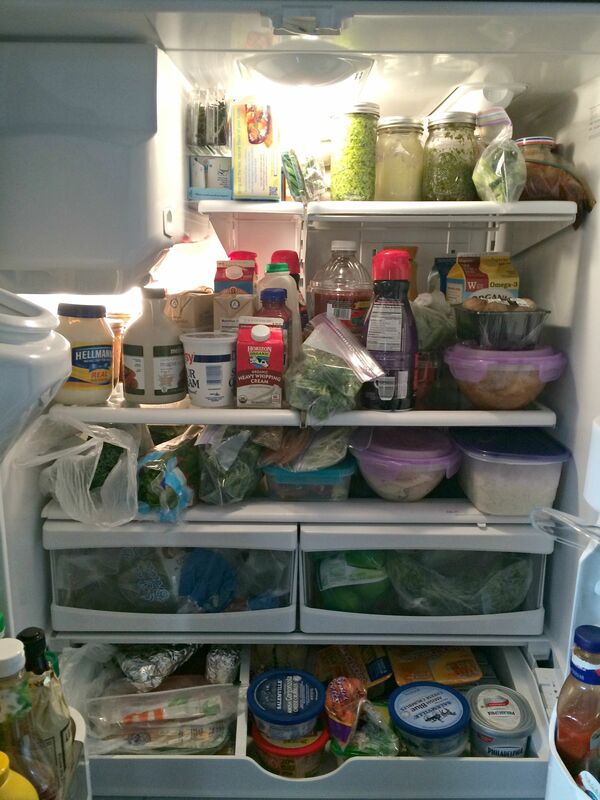 I also had some help from family and friends for testing the recipes which helped me out tremendously. 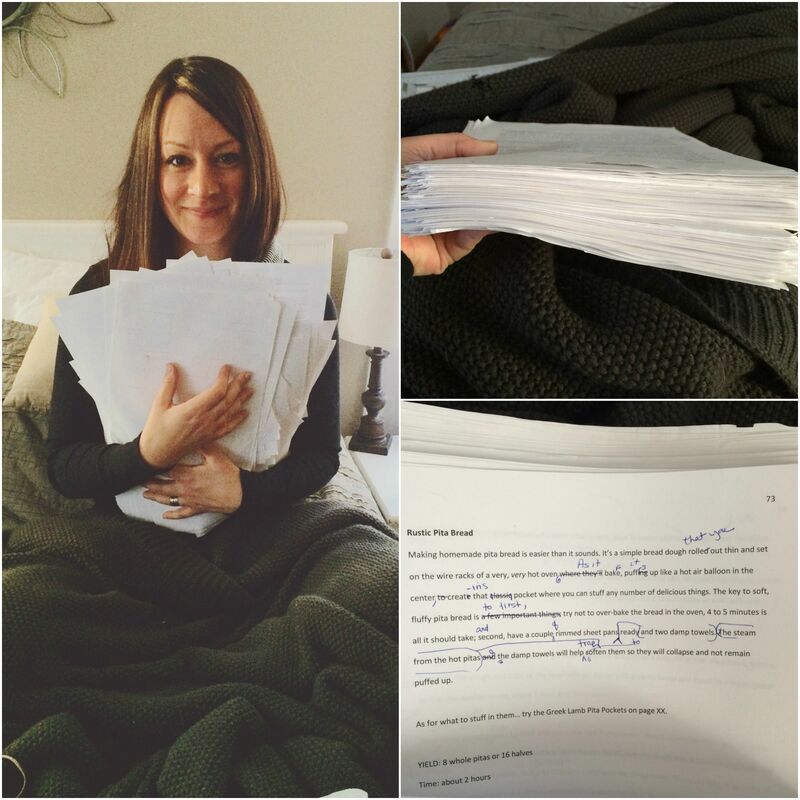 By February 1st I handed in my first draft of my book manuscript to Lucia. I’ll spare you the details on copy editing and how that can really make a non-writer feel even more inadequate, but- and I maybe a little crazy for feeling this way- I sort of liked the editing part and though it was kind of fun. I know, you’d never guess that from the pic above annnnnd that was round 1 of 3 in the whole editing process. Truthfully if it wasn’t for Lucia, Gigi -her assistant and all the copy editors, plus all the wonderful folks who had a hand in shaping this book… it wouldn’t be what it is. And I’m so, SO forever grateful. SO THE DEETS! 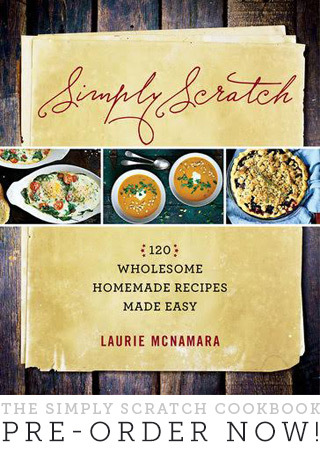 Simply Scratch: 120 Wholesome Homemade Recipes Made Easy will be available November 17th, 2015!!!!!!!!!!!!!! This book is like my third baby, I poured my heart and soul into it and watched it go from an idea to a physical thing that I can hold in my hands. It’s a hardcover book with a BEAUTIFUL vibrant jacket. In the beginning, when I first started recipe devising, I decided I wanted to include as many new recipes in this book as possible. And I did, way more than 3/4 of the book is brand spanking new recipes with the exception of a few blog and family favorites, yet still I revised those few recipes, tweaking and revamping them to be more from scratch or just to simplify. But my hopes for this book has always been for it to be a home-cooks bible, used so frequently that recipes are dog-eared and the pages get sticky from syrup, smudged with sauce and flour all up in the creases. I want you to think of this book as an extension of this blog, just minus the step-by-step photos. Besides being packed with easy, delicious and accessible family recipes, I think you’ll particularly like chapter one: The Basics. 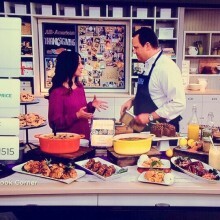 We’re talking everything from homemade seasonings, to broths and batters, dips and salad dressings and much, much more. And BONUS… you can use many of these basics in recipes throughout the book if you choose. I pull from this chapter quite frequently in my everyday cooking and honestly love that I have it (perks of writing it, I get advanced copies 😉 ) on my counter and at my fingertips. The whole process was well worth the blood (I nicked myself with a knife more times in the 7 months testing recipes, then my whole entire life), sweat, tears of joy and frustration, dirty dishes and a constant bursting-at-the-seams fridge. And I’d do it all over again in a heartbeat. If you can’t tell, I’m so very proud of this book and think you’ll find it to be a great companion in the kitchen. Soooooooo for now I’ll keep the rest under wraps because I love surprises and want you to be surprised as well. But Simply Scratch is available for pre-order AND as a thank you, you are eligible to receive a bonus 10-recipe e-book sort of thing (when completed). But I will have more info on that later. Oh and might I add that it would make an excellent gift for a birthday, holiday or given as a wedding and housewarming gift?? Just sayin’!!! I’ll conclude this overly wordy post with this: THANK YOU ALL from the bottom of my heart. Truly. To you the readers, I’ve said it before and I mean it, this blog and this book wouldn’t have been possible without you. Thank you, thank you, THANK YOU! And I promise to keep you posted with upcoming events and things! Laurie, this brings tears to my eyes. I’m so happy for you! I can’t wait to see what’s next for you! The sky’s the limit for you. Thank you so much Ann! Xo! Gosh, I’m so excited for you! I simply love your blog and never miss a recipe (and I can’t say that for a lot of blogs!). I am so looking forward to buying your cookbook. I already know I’m gonna love it! I know the amount of work you have to put in to write a cookbook is just crazy, so really, a big fat CONGRATS to you! Thank you Marie, that means so much to me! Congratulations! The book looks beautiful. I can’t wait to get a copy & work my way through the recipes. I use a e-reader for all my reading but for some reason with cookbooks, I prefer a real book. I like to flip thru the pages & examine every recipe. I love the recipes I’ve made from your blog so I know il love your cookbook! I’m the same way, I love having the actual book! Thanks Kelly! I loved reading this post! What a great story, Laurie and I’m super happy for you. Yeah!! This is so exciting! I loved reading about your publishing journey – can’t wait for the release!! Laur, I am so unbelievably proud of you – and what a great team you have behind you!! I can’t wait to get my hands on a copy and say “This is my friend, no really – I have a friend! AND she wrote a KILLER cookbook! !” Congrats, dear friend!! Thank you so much Megan! XO! I’ve been reading your blog for quite awhile now and I just want to say that I am so proud of you. I’m going to pre order now, can’t wait to get the cookbook. Congratulations!!! Congrats!!! What a labor of love. I’ll be honest, the only bloggers cookbook I’ve ever bought was Pioneer Woman’s fist one. With that said, I think I’ll HAVE to buy yours. Your blog has always been a favorite of mine. Your recipes are always delicious and your photos are beautiful! Ohmygosh I’m so completely honored and your kind words mean so much to me! Thank you, thank you, thank you! I’m so glad to hear your cookbook will be out soon! I have yet to be disappointed by any your recipes since I found you blog about 2 years ago. I can’t wait for your cookbook and to give one to my sisters who are just starting to cook. Congrats Laurie! I’m so SO glad! Thank you from the bottom of my heart Ashley! Xo! You were literally the first person I told (besides my fam) and your words of wisdom help tremendously! I will definitely be celebrating with copious amounts of wine!!! Thank you Julia and I’d would absolutely love your support in promoting- I’ll be in touch for sure! XoXo! Thank you so very much Star! Now I have happy tears in MY eyes! XoXoXo! I’ve never commented, but I’ve always enjoyed your recipes and writing style so much, I just wanted to tell you I’m really happy for you and I just pre-ordered on Amazon. Congrats from another Michigan mom! Thank you so much Stacy! Fellow Michiganders, whoot-whoot! Just pre-ordered at Amazon ! So exciting! Congrats ! Haaaaa! I love it!! Thank you for your support Lori, it means so much to me! Congratulations! I’m so happy for you and selfishly for me too. 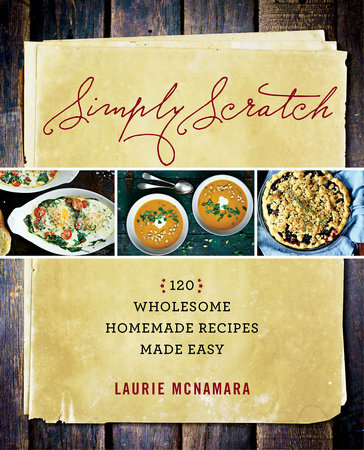 Simply Scratch is a 1st go-to for any recipe for me and for inspiration. But having it in book form will be wonderful. Thank you! Hi Wendy! Working in the EC shaped who I am many ways, and I’m so grateful for the many friendships I took away from it. Thank you so much for your kind words and all the support along the way! First off congratulations, it looks so beautiful! I am so excited to get my hands on it when it comes out! I was so choked up while reading this!! I am so proud of all your hard work!!! So excited to get my copy and make some good recipes!!! Way to go Laurie!!! Just preordered my copy, can’t wait to get it. I have always loved your blog, many congratulations to you!! Thank you Krissy! It really means a lot to me! Laurie, In my daily round of blog check-in yours is always first! 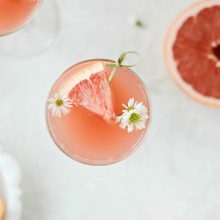 I absolutely adore your blog, and your recipes and I am SO! Excited! for the release of your cookbook. I also know a bit of what you went through. A few years ago I landed my dream job as a curator and a museum on the National Mall in Washington, DC and I jumped right into researching and curating my first exhibition. I was exhilarated and terrified all at the same time. Developing an exhibition is not unlike writing a cook book as about ten times as much work goes into researching, writing, re-writing, scrapping everything, writing and rewriting so more for. And that’s all before it goes to review an copy-editing. There aren’t words for how rewarding it felt to see and touch the final product. Congratulations from a huge fan who can’t wait to hold your finished product in her hands! Hi Corinne! Thank you Thank you! For the record I cannot fathom pulling together an exhibition- good for you! That’s truly amazing! Immediate pre-order. I don’t think I’ve found a recipe on your site that I haven’t been pleased with – congrats on the book! how did I miss this post until today?!?! I’ve been waiting!!!! hooray!!!! so very excited for you (and for me to have this in my kitchen!)! Congratulations!! I have been following your blog for years now and I can’t wait to get the book! You deserve it and I am sure it will be amazing!! I discovered sort of randomly a few months ago that you were writing this book (people have been able to pre-order this on Amazon since at least June)! I’m so happy to hear it has a release date. It is definitely my desired Christmas gift for this year! Congratulations, this is well-deserved! Your blog is amazing! Preordering as we speak! I’m so so happy for you, Laurie! Congratulations on this amazing accomplishment! I’m buying a copy for myself and my best friend for her birthday. 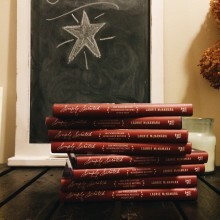 We’ve been following your blog together for quite some time now and I can’t want to have the hard copy in my kitchen! So completely honored Kina! Thank you x a million! Ahhhhhh! I’m so excited! Can’t wait! Guess we’ll have to 🙂 Congratulations and thanks for sharing this with us. Wow and double wow! Congratulations from the bottom of my heart. And by the way, if you didn’t think you had a voice, just read this post and you’ll know. You have an amazing one. Ready to dog-ear my copy as soon as it’s off the presses! Oh gosh Sharon, thank you!! You are just the best! Xo!! I am so excited to hear about your book!! 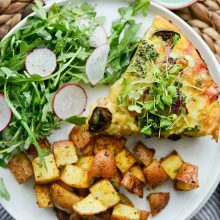 I am constantly going to your blog for recipes and am always telling people to check it out! So I cant wait to get your book and share the love with a hard copy!! Congrats on the book deal!! I have enjoyed your blog so much. Can’t wait to check out the book! This is amazing! I love your blog & the recipes you share… I’m so proud of you for working so hard to make your dreams come true. Can’t wait to get your cookbooks!